The 2017 Oscars are over, and turns out our predictions were wrong. Famed costume designer Colleen Atwood did indeed take home the award. Turns out those coats weren't just regular coats. Careful thought and detail was taken into consideration, including incorporating hidden pockets to fit certain characters. So congrats to her for proving us wrong and earning her fourth Oscar! The 2017 Oscars will air on ABC Sunday February 26th. We'll be watching with our prediction list in hand. This year we're predicting who will win in the Costume Design category. For this week's video of the week, we found a YouTube video that takes you shopping for fabric! Who doesn't love that?! What we love about this video is that it explains everything you need to know when you go to a fabric store like JoAnns! Looking for something trendy and comfortable for your next sewing project? Graphic, statement t-shirts are in. We'll tell you where to get the pattern, then you can use your imagination to create looks similar to the ones seen on the celebrities below. A whole week has come and gone and we haven't updated the blog as planned, busy with other projects. Hoepfully you have been continuing to sew and enjoying yourself. Getting back into the swing of things, this week's YouTube find is a video on draping. You'll see how to drape a 3 pleat skirt/dress. Follow along and show us your results in the comments below! This week, another fashion illustration YouTube find. Happy drawing! Are you into fashion illustration? We've learned that as a designer, it's pretty imperative that you are able to illustrate your designs prior to production. So what happens if you are not artistic in that way? Well...that's when you pay someone else who IS. Or you take fashion illustration classes. So then what happens if you don't have the money to pay? That's where YouTube comes in. We found a great video detailing a tutorial on fashion illustration. Just grab your pencil, eraser, and markers and follow along with the instructor. Then, create your own design, snap a quick photo and share it with us on Instagram using the hashtag #sewcriscroche! 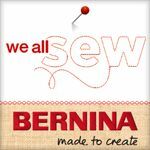 Don't forget to tag us (@sewcriscroche) so we can see your design. We'll choose the best one. The winner will receive a free Valentine's pillow pattern. We can't wait to see what you design! Disclaimer: We have no affiliation with the Moschino brand. It is at your own risk that you enter this competition and posting on Instagram. 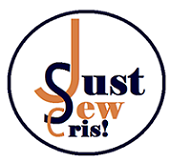 As you may know, we are still in the process of starting our small business - Sew Cris-Croche. We want to thank you for being a supportive reader. We recently set up a GoFundMe campaign to help raise funds to aid in our efforts. We hope that you will support us in our endeavor.